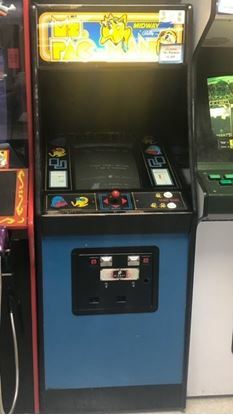 The Arcade Classics Multicade Cocktail is like the original arcade games from the 80s, except now it is packed with all the arcade games. 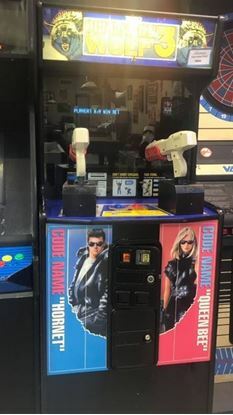 This arcade game comes with 60 of the best games from the 80s. These games are family friendly and fun. It is sure to cause laughter, smiles and entertainment for the entire family. 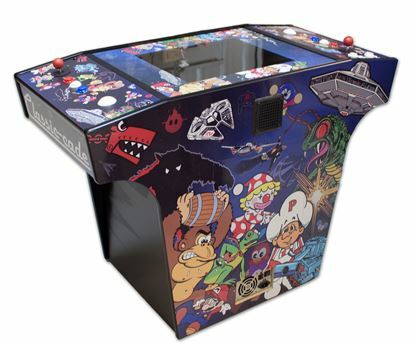 This Multi Arcade can be set on quarter play or free play. Dimensions: 46 1/2” H x 31.5” W x 24” D; Weight: 150 lbs. 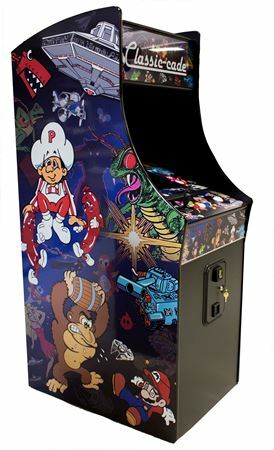 The Full-Size Multi Arcade Upright is like the original arcade games from the 80s, except now it is packed with all the arcade games! 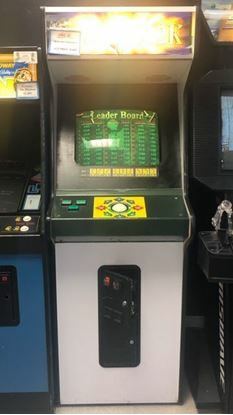 This arcade game comes with 60 of the best games from the 80s. 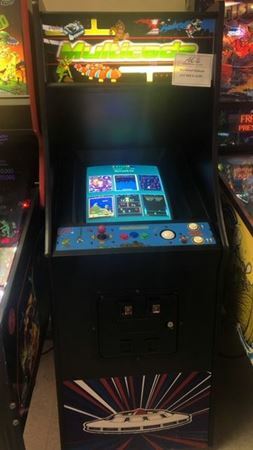 This machine comes with trackball capabilities, making games like Centipede and Millipede play more like the original. 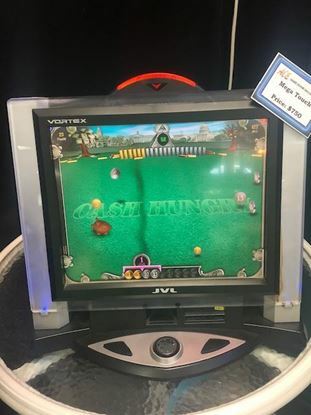 All of the games are family friendly and fun. It is sure to cause laughter, smiles and entertainment for the entire family. New Cabinet made from durable Thermo-Fused Melamine. Complete with handles and wheels making it easy to move. Dimensions: 67 3/4” H x 24 5/8” W x 35” D; Weight: 250 lbs.